OVER THE YEARS, many philosophers tried to describe the phenomenon of inertia but it was Newton, in his Philosophiæ Naturalis Principia Mathematica, who unified the states of rest and movement in his First Law of Motion. One rendering of this law states: Every body continues in its state of rest, or of uniform motion in a straight line, unless it is compelled to change that state by forces impressed upon it. Newton didn’t actually use the word inertia in describing the phenomenon, but that is how we now refer to it. In his other two laws of motion, Newton describes how a force (including that of gravity) can accelerate a body. And as we all know, acceleration is the rate of change of velocity, and velocity is the rate of change of position. So, if the acceleration vector of a body can be precisely measured, then a double integration of it can provide an estimate of the body’s position. That sounds quite straightforward, but the devil is in the details. Not only do we have to worry about the constants of integration (or the initial conditions of velocity and position), but also the direction of the acceleration vector and its orthogonal components. Nevertheless, the first attempts at mechanizing the equations of motion to produce what we call an inertial measurement unit or IMU were made before and during World War II to guide rockets. Nowadays, IMUs typically consist of three orthogonal accelerometers and three orthogonal rate-gyroscopes to provide the position and orientation of the body to which it is attached. And ever since the first units were developed, scientists and engineers have worked to miniaturize them. We now have micro-electro-mechanical systems (or MEMS) versions of them so small that they can be housed in small packages with dimensions of a few centimeters or embedded in other devices. Satellite navigation systems have achieved great success in personal positioning applications. Nowadays, GNSS is an essential tool for outdoor navigation, but locating a user’s position in degraded and denied indoor environments is still a challenging task. 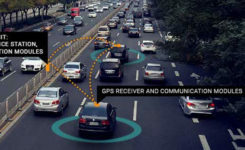 During the past decade, methodologies have been proposed based on inertial sensors for determining a person’s location to solve this problem. One such solution is a personal pedestrian dead-reckoning (PDR) system, which helps in obtaining a seamless indoor/outdoor position. Built-in sensors measure the acceleration to determine pace count and estimate the pace length to predict position with heading information coming from angular sensors such as magnetometers or gyroscopes. PDR positioning solutions find many applications in security monitoring, personal services, navigation in shopping centers and hospitals and for guiding blind pedestrians. Several dead-reckoning navigation algorithms for use with inertial measurement units (IMUs) have been proposed. However, these solutions are very sensitive to the alignment of the sensor units, the inherent instrumental errors, and disturbances from the ambient environment — problems that cause accuracy to decrease over time. In such situations, additional sensors are often used together with an IMU, such as ZigBee radio beacons with position estimated from received signal strength. In this article, we present a PDR indoor positioning system we designed, tested and analyzed. It is based on the pace detection of a foot-mounted IMU, with the use of extended Kalman filter (EKF) algorithms to estimate the errors accumulated by the sensors. Our plan in designing a pedestrian positioning system was to use a high-rate IMU device strapped onto the pedestrian’s shoe together with an EKF-based framework. The main idea of this project was to use filtering algorithms to estimate the errors (biases) accumulated by the IMU sensors. The EKF is updated with velocity and angular rate measurements by zero-velocity updates (ZUPTs) and zero-angular-rate updates (ZARUs) separately detected when the pedestrian’s foot is on the ground. Then, the sensor biases are compensated with the estimated errors. Initial alignment that calculates the initial attitude with the static data of accelerometers and magnetometers during the first few minutes. IMU mechanization algorithm to compute the navigation parameters (position, velocity and attitude). Pace detection algorithm to determine when the foot is on the ground; that is, when the velocity and angular rates of the IMU are zero. ZUPT and ZARU, which feed the EKF with the measured errors when pacing is detected. EFK estimation of the errors, providing feedback to the IMU mechanization algorithm. The initial alignment of an IMU sensor is accomplished in two steps: leveling and gyroscope compassing. Leveling refers to getting the roll and pitch using the acceleration, and gyroscope compassing refers to obtaining heading using the angular rate. However, the bias and noise of gyroscopes are larger than the value of the Earth’s rotation rate for the micro-electro-mechanical system (MEMS) IMU, so the heading has a significant error. In our work, the initial alignment of the MEMS IMU is completed using the static data of accelerometers and magnetometers during the first few minutes, and a method for heading was developed using the magnetometers. When a person walks, the movement of a foot-mounted IMU can be divided into two phases. The first one is the swing phase, which means the IMU is on the move. The second one is the stance phase, which means the IMU is on the ground. The angular and linear velocity of the foot-mounted IMU must be very close to zero in the stance phase. Therefore, the angular and linear velocity of the IMU can be nulled and provided to the EKF. This is the main idea of the ZUPT and ZARU method. There are a few algorithms in the literature for step detection based on acceleration and angular rate. In our work, we use a multi-condition algorithm to complete the pace detection by using the outputs of accelerometers and gyroscopes. The final logical result is obtained using a median filter with a neighboring window of 11 samples. A logical 1 denotes the stance phase, which means the instrumented-foot is on the ground. The presented method for PDR navigation was tested in both indoor and outdoor environments. For the outdoor experiment (the indoor test is not reported here), three separate tests of normal, fast and slow walking speeds with the IMU attached to a person’s foot (see FIGURE 1) were conducted on the roof of the Institute of Space Science and Technology building at Nanchang University (see FIGURE 2). The IMU was configured to output data at a sampling rate of 100 Hz for each test. For experimental purposes, the user interface was prepared in a Matlab environment. After collection, the data was processed according to our developed indoor pedestrian dead-reckoning system. The processing steps were as follows: Setting the sampling rate to 100 Hz; setting initial alignment time to 120 seconds; downloading the IMU data and importing the collected data at the same time; selecting the error compensation mode (ZARU + ZUPT as the measured value of the EKF); downloading the actual path with a real measured trajectory with which to compare the results (in the indoor-environment case). For comparison of the IMU results in an outdoor environment, a professional drone was used (see FIGURE 3) to take a vertical image of the test area (see FIGURE 4). Precise raster rectification of the image was carried out using Softline’s C-GEO v.8 geodetic software. This operation is usually done by loading a raster-image file and entering a minimum of two control points (for a Helmert transformation) or a minimum of three control points (for an affine transformation) on the raster image for which object space coordinates are known. These points are entered into a table. After specifying a point number, appropriate coordinates are fetched from the working set. Next, the points in the raster image corresponding to the entered control points are indicated with a mouse. For our test, we measured four ground points using a GNSS receiver (marked in black in Figure 4), to be easily recognized on the raster image (when zoomed in). A pre-existing base station on the roof was also used. To compute precise static GPS/GLONASS/BeiDou positions of the four ground points, we used post-processing software. During the GNSS measurements, 16 satellites were visible. After post-processing of the GNSS data, the estimated horizontal standard deviation for all points did not exceed 0.01 meters. The results were transformed to the UTM (zone 50) grid system. For raster rectification, we used the four measured terrain points as control points. After the Helmert transformation process, the final coordinate fitting error was close to 0.02 meters. For comparing the results of the three different walking-speed experiments, IMU stepping points (floor lamps) were chosen as predetermined route points with known UTM coordinates, which were obtained after raster image rectification in the geodetic software (marked in red in Figure 4). After synchronization of the IMU (with ZUPT and ZARU) and precise image rectification, positions were determined and are plotted in Figure 4. The trajectory reference distance was 15.1 meters. PDR positioning results of the slow-walking test with ZARU and ZUPT corrections were compared to the rectified raster-image coordinates. The coordinate differences are presented in FIGURE 5 and TABLE 1. The last two parts of the experiment were carried out to test normal and fast walking speeds. The comparisons of the IMU positioning results to the “true” positions extracted from the calibrated raster image are presented in FIGURES 6 and 7 and TABLES 2 and 3. From the presented results, we can observe that the processed data of the 100-Hz IMU device provides a decimeter-level of accuracy for all cases. The best results were achieved with a normal walking speed, where the positioning error did not exceed 0.16 meters (standard deviation). It appears that the sampling rate of 100 Hz makes the system more responsive to the authenticity of the gait. However, we are aware that the test trajectory was short, and that, due to the inherent drift errors of accelerometers and gyroscopes, the velocity and positions obtained by these sensors may be reliable only for a short period of time. To solve this problem, we are considering additional IMU position updating methods, especially for indoor environments. We have presented results of our inertial-based pedestrian navigation system (or PDR) using an IMU sensor strapped onto a person’s foot. An EKF was applied and updated with velocity and angular rate measurements from ZUPT and ZARU solutions. After comparing the ZUPT and ZARU combined final results to the coordinates obtained after raster-image rectification using a four-control-point Helmert transformation, the PDR positioning results showed that the accuracy error of normal walking did not exceed 0.16 meters (at the one-standard-deviation level). In the case of fast and slow walking, the errors did not exceed 0.20 meters and 0.32 meters (both at the one-standard-deviation level), respectively (see Table 4 for combined results). The three sets of experimental results showed that the proposed ZUPT and ZARU combination is suitable for pace detection; this approach helps to calculate precise position and distance traveled, and estimate accumulated sensor error. It is evident that the inherent drift errors of accelerometers and gyroscopes, and the velocity and position obtained by these sensors, may only be reliable for a short period of time. To solve this problem, we are considering additional IMU position-updating methods, especially in indoor environments. Our work is now focused on obtaining absolute positioning updates with other methods, such as ZigBee, radio-frequency identification, Wi-Fi and image-based systems. The work reported in this article was supported by the National Key Technologies R&D Program and the National Natural Science Foundation of China. Thanks to NovAtel for providing the latest test version of its post-processing software for the purposes of this experiment. Special thanks also to students from the Navigation Group of the Institute of Space Science and Technology at Nanchang University and to Yuhao Wang for his support of drone surveying. The high-rate IMU used in our work was an Xsense MTi miniature MEMS-based Attitude Heading Reference System. We also used NovAtel’s Waypoint GrafNav v. 8.60 post-processing software and a DJI Phantom 3 drone. MARCIN URADZIŃSKI received his Ph.D. from the Faculty of Geodesy, Geospatial and Civil Engineering of the University of Warmia and Mazury (UWM), Olsztyn, Poland, with emphasis on satellite positioning and navigation. He is an assistant professor at UWM and presently is a visiting professor at Nanchang University, China. His interests include satellite positioning, multi-sensor integrated navigation and indoor radio navigation systems. HANG GUO received his Ph.D. in geomatics and geodesy from Wuhan University, China, with emphasis on navigation. He is a professor of the Academy of Space Technology at Nanchang University. His interests include indoor positioning, multi-sensor integrated navigation systems and GNSS meteorology. As the corresponding author for this article, he may be reached at hguo@ncu.edu.cn. CLIFFORD MUGNIER received his B.A. in geography and mathematics from Northwestern State University, Natchitoches, Louisiana, in 1967. He is a fellow of the American Society for Photogrammetry and Remote Sensing and is past national director of the Photogrammetric Applications Division. He is the chief of geodesy in the Department of Civil and Environmental Engineering at Louisiana State University, Baton Rouge. His research is primarily on the geodesy of subsidence in Louisiana and the grids and datums of the world. “Indoor Positioning Based on Foot-mounted IMU” by H. Guo, M. Uradziński, H. Yin and M. Yu in Bulletin of the Polish Academy of Sciences: Technical Sciences, Vol. 63, No. 3, Sept. 2015, pp. 629–634, doi: 10.1515/bpasts-2015-0074. “Usefulness of Nonlinear Interpolation and Particle Filter in Zigbee Indoor Positioning” by X. Zhang, H. Guo, H. Wu and M. Uradziński in Geodesy and Cartography, Vol. 63, No. 2, 2014, pp. 219–233, doi: 10.2478/geocart-2014-0016. “Pedestrian Tracking Using Inertial Sensors” by R. Feliz Alonso, E. Zalama Casanova and J.G. Gómez Garcia-Bermejo in Journal of Physical Agents, Vol. 3, No. 1, Jan. 2009, pp. 35–43, doi: 10.14198/JoPha.2009.3.1.05. “Pedestrian Tracking with Shoe-Mounted Inertial Sensors” by E. Foxlin in IEEE Computer Graphics and Applications, Vol. 25, No. 6, Nov./Dec. 2005, pp. 38–46, doi: 10.1109/MCG.2005.140. “Foot Pose Estimation Using an Inertial Sensor Unit and Two Distance Sensors” by P.D. Duong, and Y.S. Suh in Sensors, Vol. 15, No. 7, 2015, pp. 15888–15902, doi: 10.3390/s150715888. “Getting Closer to Everywhere: Accurately Tracking Smartphones Indoors” by R. Faragher and R. Harle in GPS World, Vol. 24, No. 10, Oct. 2013, pp. 43–49. “Enhancing Indoor Inertial Pedestrian Navigation Using a Shoe-Worn Marker” by M. Placer and S. Kovačič in Sensors, Vol. 13, No. 8, 2013, pp. 9836–9859, doi: 10.3390/s130809836. “Use of High Sensitivity GNSS Receiver Doppler Measurements for Indoor Pedestrian Dead Reckoning” by Z. He, V. Renaudin, M.G. Petovello and G. Lachapelle in Sensors, Vol. 13, No. 4, 2013, pp. 4303–4326, doi: 10.3390/s130404303. “Accurate Pedestrian Indoor Navigation by Tightly Coupling Foot-Mounted IMU and RFID Measurements” by A. Ramón Jiménez Ruiz, F. Seco Granja, J. Carlos Prieto Honorato and J. I. Guevara Rosas in IEEE Transactions on Instrumentation and Measurement, Vol. 61, No. 1, Jan. 2012, pp. 178–189, doi: 10.1109/TIM.2011.2159317. “Indoor Pedestrian Navigation Using an INS/EKF Framework for Yaw Drift Reduction and a Foot-mounted IMU” by A.R. Jiménez, F. Seco, J.C. Prieto and J. Guevara in Proceedings of WPNC’10, the 7th Workshop on Positioning, Navigation and Communication held in Dresden, Germany, March 11–12, 2010, doi: 10.1109/WPNC.2010.5649300. “Street Smart: 3D City Mapping and Modeling for Positioning with Multi-GNSS” by L.-T. Hsu, S. Miura and S. Kamijo in GPS World, Vol. 26, No. 7, July 2015, pp. 36–43. “A Robust Method to Detect Zero Velocity for Improved 3D Personal Navigation Using Inertial Sensors” by Z. Xu, J. Wei, B. Zhang and W. Yang in Sensors Vol. 15, No. 4, 2015, pp. 7708–7727, doi: 10.3390/s150407708.